In January, 2016, some six months after the debut of this blog, I posted “a spoiler warning for all seasons” — a page dedicated to the idea that, while some might find the idea of spoiler warnings for comic book stories of a half-century’s vintage to be a little absurd, others might expect them as a matter of course. Since then, that single page has served as my blanket spoiler warning for any and all fifty-year-old comics discussed over the course of the blog. Today, however, we have a somewhat different situation, as I’m planning to refer to the concluding scene of a very recent comic book, namely Batman (2016) #32, which will have been on sale for only about three weeks at the time of this post’s publication. So, here you go: if you haven’t yet read Tom King and Mikel Jamin’s concluding chapter to “The War of Jokes and Riddles”, and you’re planning to, and you’d rather not know what happens on the last page — consider yourself hereby warned. 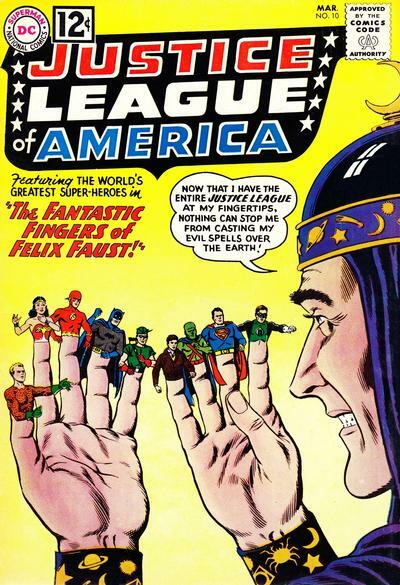 Throughout the 1960’s, as their upstart rival Marvel Comics distinguished itself with the development of a complex and more-or-less consistent fictional universe that linked all of the company’s heroes, villains, and other characters into one ongoing meta-story, DC Comics resolutely continued to operate as a collection of mostly independent fiefdoms, each under the dominion of its own editor. 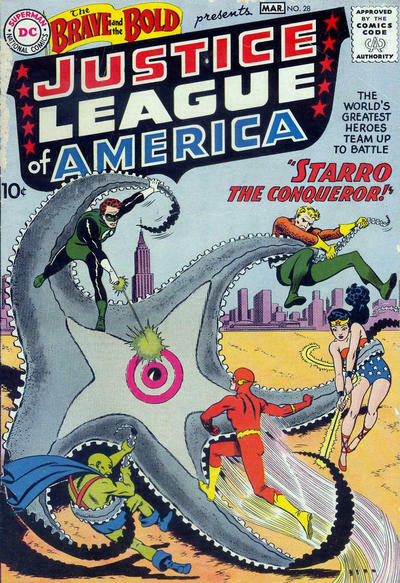 Sure, all the A-list heroes showed up for Julius Schwartz’s Justice League of America, regardless of who was editing the heroes’ solo series, and they could also pair off in George Kashdan’s (later, Murray Boltinoff’s) The Brave and the Bold — but, by and large, DC’s editors didn’t pay much attention to continuity across the line.